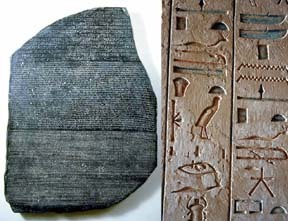 Egyptian hieroglyphics had been used by the Egyptians for thousands of years. However, a particularly bleak period of Egyptian history is the conquest of Egypt by Persia. The Egyptians were dominated by Persian intruders. The events that changed the nature of Egypt were not the Persian conquest but rather the war between Persia (the rulers of Egypt) and the united Greek city-states. Greece had originally been united by Philip of Macedon and then ruled effectively by Alexander the Great. Alexander defeated the Persian forces and then took his army to Egypt. There he was welcomed as a conquering hero by the Egyptians because he brought an end to Persian rule. He was made a god by the Egyptians as well as a pharaoh. He, however, had other campaigns to wage and took his army off to the Middle East and the Indus River Valley leaving a regent in charge of Egypt. After the death of Alexander the Great in 323 BC, his empire was divided among his three most trusted and powerful generals. The throne of Egypt fell to Ptolemy I, the son of Lagus. Ptolemy took Alexander’s preserved body in a jar filled with honey back to Alexandria. Ptolemy ran Egypt like a business, strictly for profit. . He was welcomed by the Egyptians as part of Alexander the Great’s family. Ptolemy then became the pharaoh, Ptolemy I. 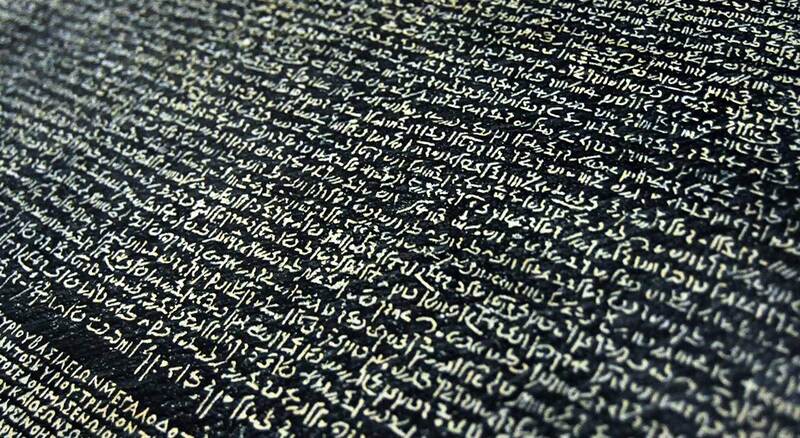 By so doing, he set the name standard for the 32nd Dynasty which turned out to be the last of Egypt’s great dynasties. All of his male successors were called Ptolemy and all of his female successors were called Cleopatra. As we move to the end of this Greek Dynasty, there was increasing involvement with the Roman Empire. The Roman civil war between Caesar and Pompeii indirectly involved Egypt. Pompeii lost this war and turned to Egypt for shelter and young Ptolemy (several generations below Ptolemy I) had him executed and delivered to Caesar. The young Ptolemy, thinking this would ingratiate him with Caesar was totally incorrect. His sister, Cleopatra, who was vying for the throne had other ways of ingratiating herself with Caesar – they had children together. Caesar was unfortunately assassinated while visiting Rome and his empire was divided up between General Marcus Antonious and his adopted son, Octavian. Marcus Antonious was better known as Marc Antony. Marc Antony took rulership of that part of the Empire that contained Egypt and that resulted in his inheriting Cleopatra. They, too, had children. His relationship with Octavian broke down and resulted in a war which Marc Antony lost. Antony was killed and Cleopatra committed suicide. Their male children were executed and their female children were probably married off to local princes. The Egyptian dynastic system was ended and a Roman Governorship was established.